Have you always been a binocular maniac? Do you value your hard-earned money equally? A solution that meets both midways, is opting for a pocket-friendly, quality pair of binoculars. Although all high quality and high-end binoculars range above $1000, a sufficiently good pair could be grabbed for a price as low as just $300. 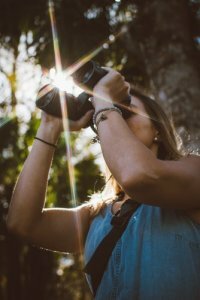 The best binoculars under $300 may not produce an image as fine as that produced by high-end binoculars but they serve the preliminary purpose of giving an exotic view as compared to the naked eye. Grabbing a pair of binoculars for as low as $300 may compromise with quality up to a certain extent, but they certainly do not fail to serve the purpose and more importantly do not burrow a hole in your pockets. These binoculars might not be a good option for professionals, but they well might be just the perfect pick for the commoners especially with a lower budget. What to look for while buying Binoculars under $300? Binoculars are known for giving a rich and vivid experience of any distant object, without having to physically move to that location. They basically rely on the optics involved between their construction and the actual viewing. The quality of view provided by the binocular decides whether it can be graded as excellent, good or average. The quality of view provided by a binocular is directly proportional to the optical elements used in its construction; including the lens and its associated properties/ features. Undoubtedly, these quality standards are met with, in high-end binoculars. The problem arises when we are looking for an inexpensive yet reliable pair of binoculars. As per the common general knowledge on optics, it is a well-known fact that when light falls on a glass surface, it reflects off the surface causing a glare. The downside to this is that glare can actually turn out be a very irritating thing. It is generally experienced by all glass wearers at almost all hours of the day and typically during night time. The binocular lenses come with layers of coating to reduce this glaring problem and hence maximize the light transmission. The greater the layers of coating, lesser is the glare. 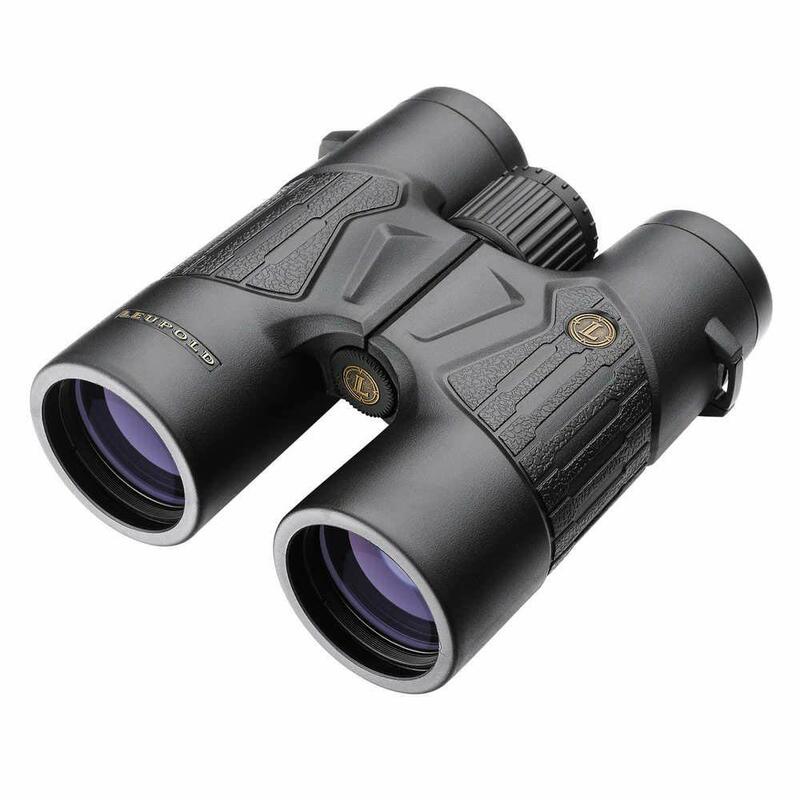 A binocular that is fully multi-coated provides better light transmission and is certainly the best choice. However, binoculars under $300 have multiple-coated lenses and are therefore not fully multi-coated. Eye relief on a set of binoculars comes into play when glasses are being used by the user. Eye relief basically is the distance behind the ocular lenses of the binoculars where the image of the object is in focus. Glasses come in the way of eyes getting closer to the ocular lenses as compared to normal eyes. Therefore, longer eye relief is required that will focus the image of the object behind the ocular lenses. Normally, binoculars with eye relief of either 15mm or 16mm are recommended for unobstructed vision. The downside of larger eye relief is that it compromises with the field of view. For spectacle users who wonder if glasses are to be worn while using binoculars, here is a quick tip. The binoculars compensate and make up for both near and farsightedness and therefore the vision remains unaffected. Hence, there is no need of wearing glasses in such cases. However, if the eye suffers from astigmatism, the user needs to wear glasses. Field of view is visual range that can be seen from the lens of a binocular set. The wider the field of view, the wider the perspective of the unit. This makes locating the objects through the lenses of the set a much simpler task than normal, as a larger region can be viewed within a single frame. The drawback of a wider field of view is that the detailing of the objects in the frames is not as distinct and clear. This is due to the magnification power of a binocular being inversely proportional to its field of view. Therefore, it is important that the sets have an optimum balance between these two factors. 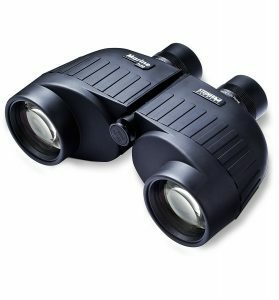 The binoculars available in the market come in a variety of sizes ranging from full size to compact. The weight of these and hence the ease of carrying them depends on their sizes. En-masse, most of the binoculars under $300 are either full-sized or mid-sized. Full-sized binoculars are better performers as compared to mid-sized binoculars, as they are ideal for quick hunting and bird watching trips. But on long hunting trips, one may need to purchase an additional tripod stand as they are heavier in comparison to mid-sized ones. On the other hand, mid-sized binoculars are moderately lighter than its full-sized counterparts and are better for long hunting trips but one would have to compromise with the viewing quality. It is more like one cannot desire for two swords within the same scabbard. In addition to the features mentioned above, one could also keep an eye out for few of the additional qualities mentioned below. Magnification power – Most binoculars have a magnifying power in between 8x and 10x. Exit pupil – This indicates the brightness of an image in low light transmission. 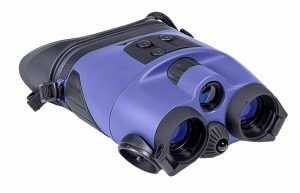 Waterproof and fog proof – Binoculars with waterproof and fog proof construction allow them to be used underwater without causing any damage to the delicate interiors. 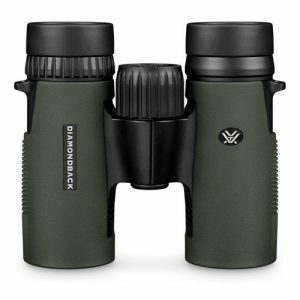 The workhorse of Vortex line-up, these Diamondback binoculars are known for their impressive optical quality and durability. These binoculars are known for a rich viewing experience within a range of $300. The dielectric, fully multi-coated lenses in the binocular transmit more light resulting in clearer, brighter images. The fully multi-coated lenses decrease the glare significantly and therefore contribute to better image quality through the binocular. With a field of view that is one of the largest in its class, these binoculars help you efficiently glass your surroundings and identify your target. The larger field of view does not hinder the magnifying power of the lenses, making it worth every penny. The architecture of this binocular provides an easy, non-slip and secure grip on the hands with a sleek, short hinge design and a rubber armor with thumb indents. The device also has room for adjustable eye relief providing a better experience for users with glasses. The multi-position eyecups provide the much-needed adjustment for the eye relief. Additionally, the device has exceptional waterproofing and fog proofing. The Argon purged material used in the exterior of the binoculars, provides the much-needed protection in nautical environments, making it fit to be used even under water. Reviewed as one of the best products by the company, these Leupold Cascades Roof Prism Binoculars are a go-to set, for all low luminous activities because of its exceptional performance in low light. The binocular uses all imported elements in its construction and has multi-coated lenses that provide maximum brightness for clarity, contrast, and color fidelity. The Aluminium Chassis together with the Rubber Armoured Housing provides durability and non-slip grip. The device also has a close focus distance of 10 feet. The slim, in-line design of the device is ergonomic and easy to grip in all weather conditions. It also offers generous eye relief and twist-up eyecups that provides comfortable extended viewing, even with eyeglasses on. With a lot of awe-striking features in the range, the Celestron 71380 Granite series is a sure shot win-win product. This device unlike others in the range comes with a high index Extra-low Dispersion glass objective lens which helps capture most of the natural light and ensures truest color retention. The binocular uses BAK-4 prisms, phase coated with dielectrics ensuring high reflectivity, a technology which is rare in this range of binoculars. It also uses fully multi-coated lenses to provide maximum light transmission. Waterproof and Fog proof – nitrogen purged to prevent internal fogging in all weather conditions. Rubber armor for extended protection and better grip. Metal Focus Knob, Diopter Ring and Twist-Up Eyecups – for long life and precision movement. 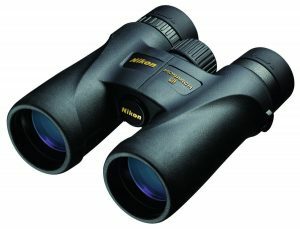 Built with Nikon’s premium ED (Extra-Low Dispersion) Glass, these Nikon MONARCH 5 binoculars provide sharper and clearer images with a brilliant field of view. The fully Multicoated Eco-Glass Lenses provide a high light transmittance and hence a glare-free view. The device has various user-friendly features such as Turn-and-Slide Rubber Eyecups for better comfort to eyes, a Smooth Central Focus Knob for quick focusing of the lens and Flip Down Lens Caps to cover and protect the lens. Built for use even in harsh conditions, the MONARCH 5 is waterproof and fog proof housed in a rubber armored body for strengthened durability. The Steiner marine binocular is a unit that works best in low light conditions as it has a peak light transmission greater than 80%. This set gives best performs in adventures like voyages to deep, dark and low-sunlight receiving forests like those in the Amazons. The set has multi-coated optics controlling the unit, so as to provide an effective, focused and efficient view of the scene in dim-lit conditions. The unit boasts of a Sports Autofocus System that enables a focused and well-calibrated viewing range of up to 20 yards. With a firm and steady design, the unit is built with a material that provides its users with a strong and tight grip. It also flaunts an external sheath covering that provides an especially strong grip, preventing the slipping of the unit in the user’s hands. The design of the set also ensures that the set can be used and managed easily, such that it provides minimal stress to arms, elbows and wrists. The unit has an added benefit of being padded with shock absorbents, which is present in the outer coating of the binocular and prevents damage to the delicate components present in the unit. This ensures prolonged durability, thus, contributing to a prolonged life of the device. In addition to that, the binocular has also been designed with eye relief for longer periods, ensuring a wider field of view. Th set also has optical lenses and eye caps in order to make viewing a strain-free and pleasurable experience. These lenses provide protection to the eyes, thereby, allowing the user to forgo sun-protection glasses. Huge size and a great amount of weight (over 2 pounds) create difficulty in handling. Neck strap is pretty small making handling slightly difficult. 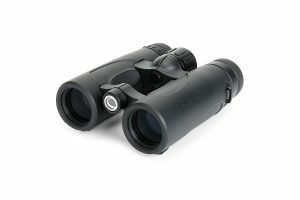 The Sightmark Solitude binoculars provide an enriched experience of viewing, like never before. The 10×42 Laser Range Finding Binocular has an exemplary feature of locating objects through its integrated laser range finding capabilities. This provides hunters with an added advantage. 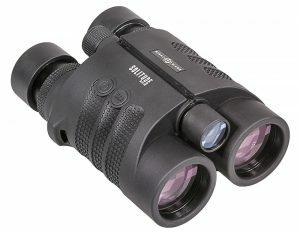 Sightmark binoculars have a rugged, rubber-armored body that is feather-light at the same time. It is purged with nitrogen and is O-ring sealed, making it waterproof and fog-proof. The Sightmark binoculars ensure optimum brightness and clarity of images. It works exceptionally well in low light conditions. The use of a BAK-4 Roof prism allows better light transmission and a more compact design. 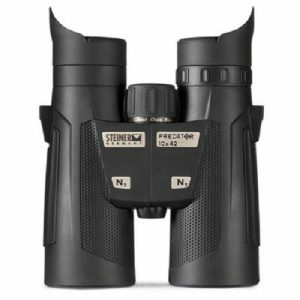 The Steiner Predator binoculars provide an optimized light transmission, allowing the device to work well in low light conditions. It also features CAT – Colour Adjusted Transmission that amplifies contrast and makes images more vivid. With a central focusing wheel, the focusing of the binoculars can be done quickly with minimal rotations. The focusing mechanism provides quick and absolute sharpness from up-close to infinity. Known for its excellent night vision performance, the Tracker 2×24 WP night vision binocular offers extensive water resistance, greater than any other in the category of night vision binoculars. The device provides 2x magnification with a wide angle field of view. The water-proofing mechanism allows this device to be used in the nautical environment just like a marine binocular could be used. The Firefield Tracker binocular unit is designed to be versatile, powerful, durable and comfortable. It is also configured with a pair of 1st generation intensifiers and Firefield’s proprietary Pulse IR illumination system, making the images appear brighter and better. The multicoated lenses in the device provide excellent light transmission and hence a glare-free view. Designed to provide the best experience, the ergonomic design of the model makes it extremely handy to use with tremendous ease. The device allows shake-free viewing during all activities, be it observing nature scenes, sporting events, opera or theatre. The binocular design includes revolving eyecups that can be adjusted to one’s needs to provide the best user experience. A sturdy Acrylonitrile-Butadiene-Styrene body and the additional rubber armor provides extended durability to the delicate internal optical systems. Best suited for use among maximum people, the lenses offer a magnification of up to 8x. The overall body, however, remains light weighted and compact, suitable to be carried to all places and for long adventures. The roof prism within provides high-end performance without compromising the weight and the compactness of the model. 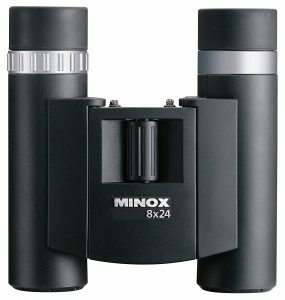 The Minox binoculars remain ideal for all purposes like hunting, sightseeing etc. Though the list of binoculars available under $300 may seem endless, it is equally important to identify the right pair, best suited to the needs of you, the seeker.